David M. Kirstein is actively engaged in aviation legal and policy matters. He served in a variety of positions at the Civil Aeronautics Board (CAB), including Executive Assistant to the Chairman and General Counsel. He also served as Majority Counsel to the Aviation Subcommittee of the U.S. Senate Committee on Commerce. Mr. Kirstein represented aviation clients in a wide range of issues before the Department of Transportation and Federal Aviation Administration including the start-up of new airlines, structuring of ownership and control of U.S. carriers to meet U.S. law, competition issues, enforcement e.g. consumer protection, maintenance, hazardous materials, Warsaw and Montreal Convention issues, PMAs and unauthorized parts issues, federal airport funding, grant assurance issues, federal, state and local environmental and regulatory compliance issues. In addition, he has represented and advised foreign and domestic airlines, airport authorities and other clients on a range of federal policy issues, administrative law, antitrust, aviation security and international data privacy. He has drafted congressional testimony for government officials and private companies, represented clients before congressional and special prosecutor criminal investigations, and supported clients on a range of legislative matters before Congress. 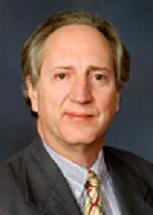 He has conducted commercial litigation in state and federal trial and appellate courts. Mr. Kirstein is on the adjunct faculty of the University of Virginia Law School where he teaches aviation law.